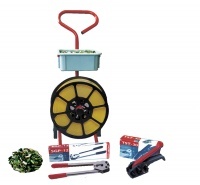 Everything you need for securing your pallets or loads. 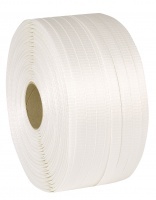 Featuring standard polypropylene and heavy duty woven polyester strapping, matching seals and buckles, starter pallet strapping kits, strapping trolleys, tensioners, sealers and combination tools. Coming soon - semi automated strapping machines - call for details.